I take off my load and sit down. But, who was unburdened: the bag or me? I gaze at the road. But, who gazes at the other: the road or me? Already, the low mountain blots out the sun. 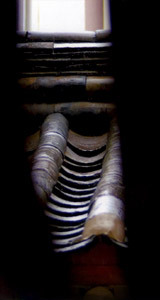 'Deconstruction' is about jangdan, a kind of Korean traditional rhythmic pattern. Perhaps there is no one who has been more fascinated by the beauty of Jangdan than me for the past twenty years, and derived more benefit from it. I learned, wrote, and taught jangdan. When I realized the underlying principle of jangdan, "a jangdan is completed by the space between beats," it made me rethink what rhythm is and this guided me to a new musical approach. To me, playing jangdan is about distributing space between beats. The discovery that the harmony between space and beats determines jangdan's energy became my inspiration and my hwadu (koan);rearranging space, not by the rearranging of beats, but by the deconstruction of a beat. In that way, I could put new energy into the recreated space. This album contains that kind of creation. Encounters are inevitable. In this world meetings between different cultures are inevitable. There have been many musical encounters in my life. With Master Kim Duk-Soo, I had many chances to play with western orchestras and jazz ensembles. And I have had a beautiful musical experience as I have participated in the “Silk Road Ensemble” that was founded by the great cellist Yo-Yo Ma in 2001. 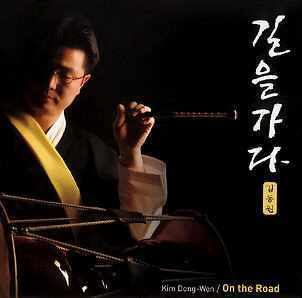 "Kim Dong-Won is a student of mine as well as a fellow musician who has walked the same path with me for many years. I am happy to listen to his music, which is of his own energy and color. He has created a kind of music that only he could make. It is a wonderful blend of North and South Asian spirit, as well as a meeting of Eastern and Western cultures. I am so thrilled that he has injected the energy and spirit of the Korean tradition into a new and universal language". "Every pore of his being is devoted to expressing the deep emotion he feels for traditional Korean culture. Its philosophy, physicality and spirituality are organic to Dong-Won's art. It is an inspiration to make music with him."